Together the pig and poultry industries produce more organic by-product than beef feedlotting in Australia. The composition of the by-product depends mostly on the production system used, in particular the manure management practice. An increasing number of egg producers are using barn or free range methods where the manure is mixed with a bedding material and is removed periodically. Broiler chickens are also raised in barns and the litter (manure + bedding) is removed at the end of each production cycle. Broiler production is by far the larger of the two poultry industries, producing over one million tonnes of organic by-product a year. Liquid waste systems still dominate in pig farrowing sheds where the pens are flushed out with water that collects in settling ponds on the farm. The water is suitable for irrigation of crops and pastures. Some pig grow out sheds are also managed this way but, like the poultry industry, there has been a shift toward barn systems where the manure and bedding is removed at the end of a production cycle. The more absorbent the pig or poultry bedding material is and the drier it is kept, the more nitrogen is conserved in organic form. Dr Peter Keating is managing director of Bioscience P/L in Perth. Composts of varying type and quality have passed through his analytical laboratory and he has conducted research into the use of chicken manure and compost in horticultural crops. Keating says all intensively raised animals are fed high protein diets to promote rapid production and so the resultant manures have high nitrogen content. Preserving that nitrogen for crop use requires particular management methods or significant quantities are lost through volatilisation of ammonia gas. Ammonia gas is mainly generated through the anaerobic breakdown of urea (from urine) and residual protein in faeces and requires the presence of the urease enzyme. The volatilisation process also requires moisture and occurs more rapidly in warmer temperatures and at high pH. If these conditions are met inside the sheds or when manure is stockpiled there is a significant loss of nitrogen to the atmosphere, creating a human and environmental health hazard. The more absorbent the bedding material is and the drier it is kept, the more nitrogen is conserved in organic form. Keating suggests the use of properly composted green waste as an alternative to sawdust for bedding. During the composting process micro-organisms reduce the C:N ratio from around 25 to an ideal of 10–12 and concentrate the mineral elements (see Table 1). If the windrows are not turned often enough there will be some ammonia production and a subsequent loss of volatile nitrogen. Keating’s HAL-funded research using broiler litter showed that, whether it is composted or not, mineralisation is essentially complete within two weeks of application if there is sufficient soil moisture to support microbial activity. He recommends frequent, low rate applications of poultry manure products as a side dressing to feed crops and limit fly breeding. The use of raw poultry manure has been associated with increased populations of stable flies and other nuisance flies. Keating’s research contradicted this position and pointed rather to poor hygiene in many horse stables and the practice of ploughing in horticultural crop trash, particularly broccoli and cabbage. All local government authorities in WA’s major horticultural areas have now implemented a total ban on the use of raw poultry manure. Also contrary to popular belief, Keating’s testing of chicken litter has shown negative results in all tests for E. coli and salmonella. For 43 years Phil Haby has been removing bedding and manure from Inghams and Adelaide Poultry chicken farms in the Barossa Valley. Until 1999 the farms had no trouble finding buyers for the raw manure and bedding mixture straight from the sheds. When the price of inorganic fertilisers fell, farmers stopped buying the chicken manure mixture and Haby saw an opportunity to take the litter and turn it into compost. Every 46 to 54 days the broiler sheds are emptied and the bedding is removed and replaced with fresh straw before the new birds are introduced. Haby sources the straw from one cereal grower and the birds are fed a fixed ration so the bedding plus manure mixture is very consistent in nutrient value and moisture content. About 60% of the loose compost is processed at a pelletising plant and the remainder is sold in bulk to horticultural and broadacre cereal farmers. “The compost is not high analysis but the organic matter does build up in the soil over the years and improves waterholding capacity,” he says. 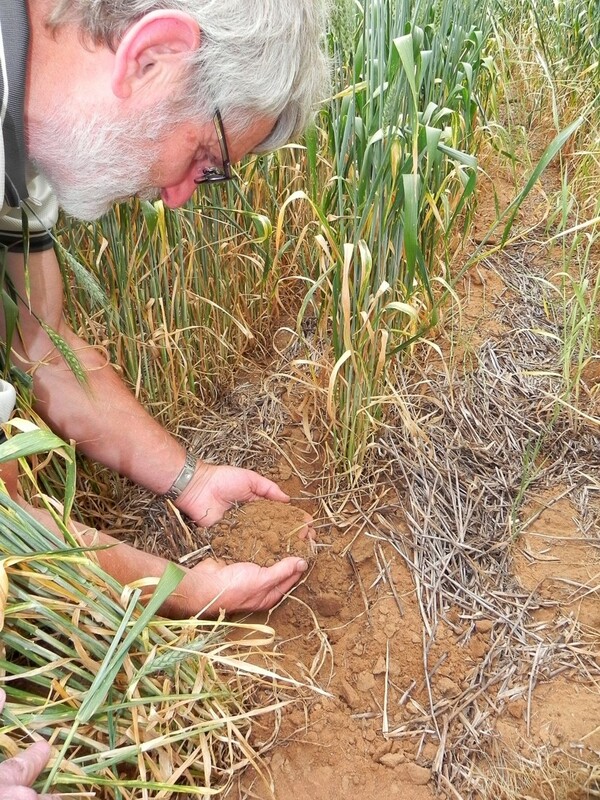 On broadacre cereal crops the compost is generally applied at around 1 tonne per hectare while horticultural crops generally receive 5 tonnes per hectare or more. Haby’s son, Carl grows potatoes and onions on their farm ‘Forster Hill’, near Mannum, where they apply any surplus compost or fresh chicken litter. The soil on 1200 ha ‘Forster Hill’ is very sandy and has responded well to the manure applications over the years and Haby has observed a distinct colour change in the topsoil. Haby’s composting and six-truck hauling business employs eleven people and produces 75 000 tonnes of compost annually. John Day is a civil engineer with an eye for recycling opportunities. Years ago Day saw the value of cleaning soil dumped after construction jobs and getting it back into use. He began to look out for waste products that could add value to the clean soil. Day approached the manager of the Pig Pen at Euroa to remove and compost the spent bedding material from their grower barns. 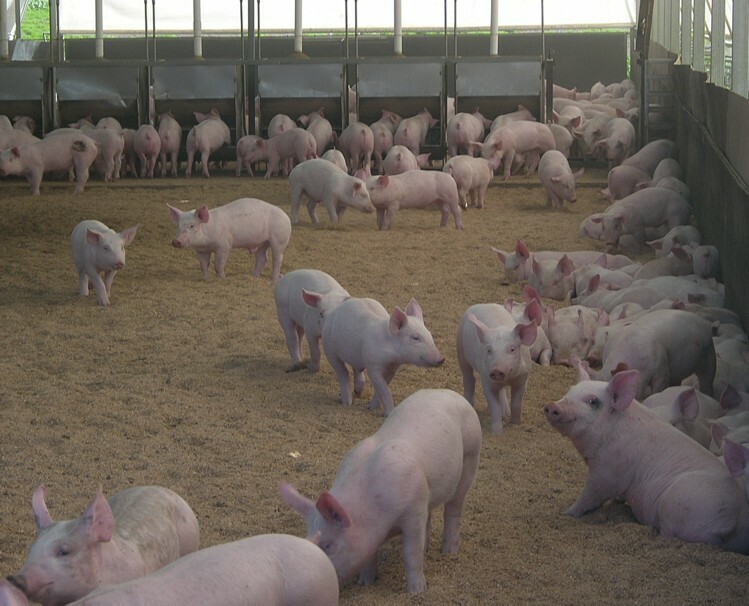 The piggery had several years’ of manure and bedding stockpiled – EPA regulations prohibit the spreading of pig manure – and were keen to have Day remove the ‘waste’. Day purchased a block of land near the 30,000 grower Pig Pen piggery for the composting pads where he processes 2000 tonnes of manure and bedding from the 24 barns into compost every three months. He says farmers are reporting results like 15% increase in moisture holding capacity, up to 20% increase in yield and reduced herbicide and pesticide requirements. Following success with the loose compost spread on the soil surface some broadacre customers were looking for a pelleted product that could be applied at planting. Day began development work to pelletise the compost into a 4 mm diameter extruded pellet. This year is the first real commercial testing of the pellets in the field, applied at a rate of 70 kg/ha into the seed drill. The pig manure compost recovery rate is quite high with 2000 tonnes of manure plus bedding yielding 1500 tonnes of compost, with a moisture content of 22-23%. The pellets are drier and even cheaper to freight making the product cost-effective even inter-state, either in loose bulk or 1 tonne bulker bags. At McLeans Farms near Pittsworth in southern Queensland, Brian McLean composts 3000 tonnes of material at a time. He takes cotton trash from nearby cotton gin and carts it to his sow/grower piggery. The trash contains lint, stalks and pods and while ‘free’ is costly to transport. The cotton trash is watered with effluent from a settling pond at the piggery and the resultant compost has similar nutrient content to that produced from feedlot manure. Effluent from the piggery flows through a system of three retention ponds where the solids settle out and aeration removes any odour. McLean sells the compost in bulk into mostly horticultural and landscaping markets in south-east Queensland. 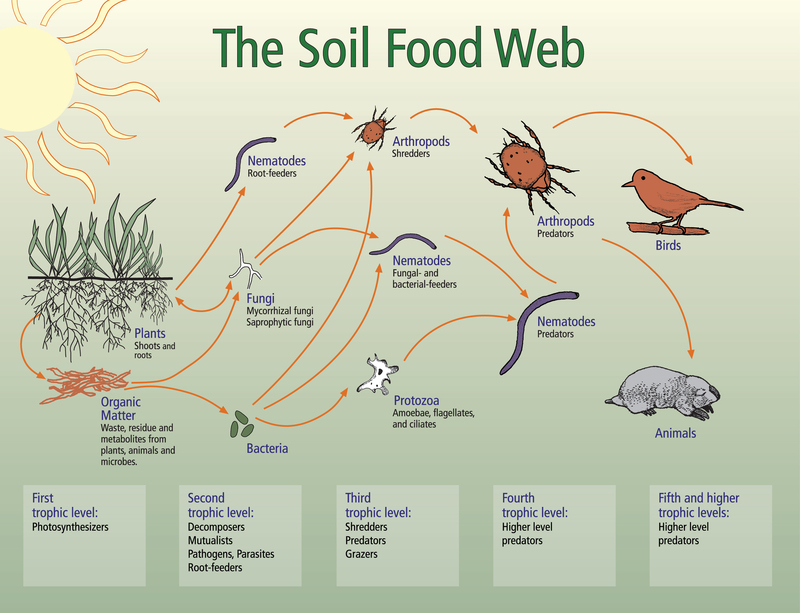 Macro and micro elements breakdown in the soil to plant available forms over 1 to 12 months. Minimal losses of nitrogen to volatilisation. No risk of nitrate toxicity when applied to pastures. Withholding period of three weeks. Do not graze pastures for a minimum of 4 weeks after compost application unless significant rain has fallen. Soil moisture activates breakdown of the compost. Do not expect an instant response similar to applications of urea. Nitrogen in compost is released slowly for up to 24 months. 3 t/ha will usually supply sufficient P and K for the first crop if the compost is incorporated into the soil. 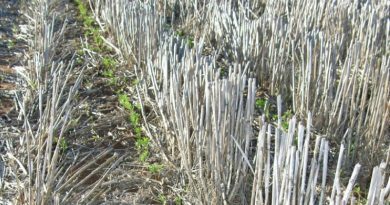 Heavier initial applications (6 t/ha) can help ensure sufficient and even supply of P.
30-50% of the nitrogen becomes plant available within the first 12 months. To maximise the benefit for the first crop, apply compost a couple of months prior to planting, is incorporated into the soil at planting and there is sufficient soil moisture to enable breakdown of the compost. 3 t/ha of pig manure compost will also deliver calcium equivalent to 140 kg of good quality lime and 40 kg of magnesium. As the timber industry finds new, higher value uses for former waste products like sawdust, the cost of bedding material is likely to increase. USA poultry farmers have faced this problem already and an American compost machinery company, Brown Bear, has developed a method of sterilising and reusing poultry bedding material rather than removing it for land application. Independent trials of the Brown Bear ‘litter reconditioning strategy’ have provided very interesting results. The strategy involves first inoculating the litter then using specialised windrow machines to stockpile the litter inside the poultry sheds, thus protecting the material from the weather. The piles are then turned frequently over a period of 9-11 days during which ammonia is expelled and any pathogens killed. Using this system the bedding material can be reconditioned at bird change-over times over a period of 14-18 months or more.